Just because your guest bathroom or cloakroom is likely to be compact, it certainly doesn’t have to be basic or boring. Let your imagination take your cloakroom bathroom to new heights by doing something daring, such as a statement wallpaper or displaying some of your own personal trinkets. Making the most of the space you have in your guest bathroom is key and simple things such as making sure the bathroom door doesn’t open into the room can make a huge difference. 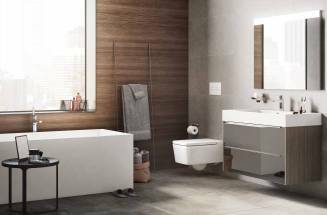 Many different elements can make your bathroom seem larger than you would think. 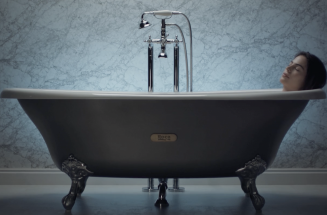 Toilets, furniture units, and bathroom accessories are just a few of the features that can help you style your cloakroom bathroom with confidence and add a feeling of spaciousness. 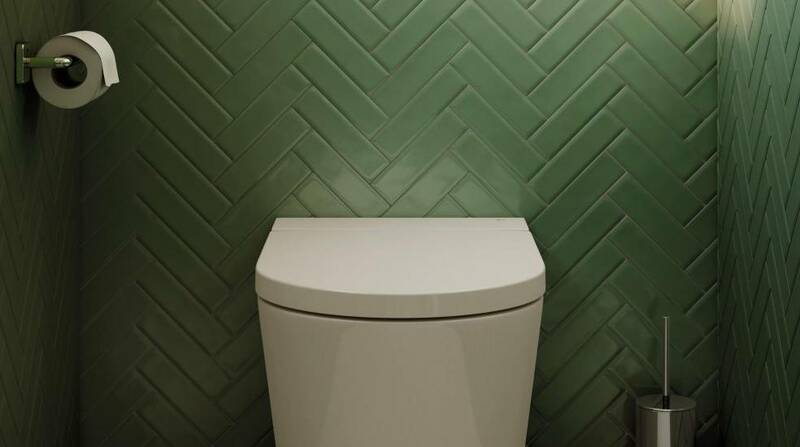 Choosing a WC with the cistern built-in (concealed within the wall), either as a wall-hung or back-to-wall pan, helps maximise space in a small bathroom such as a cloakroom. A wall-hung WC pan can make the room seem larger by keeping the floor clear. Being fixed to the wall, these accessories take up very little space in a cloakroom bathroom. 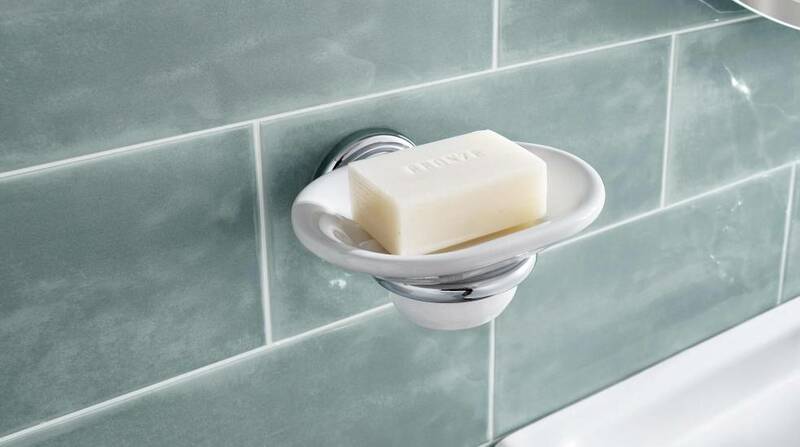 To keep the installation as easy as possible, you can choose bathroom accessories that don't need a drill, replacing the screws and unsightly holes with strong adhesives. A small space can be a trap for clutter, so If you need to use your cloakroom bathroom to store things, keep it tidy by incorporating compact furniture units. Having reduced dimensions, these smaller units are great for making the most of the available space. 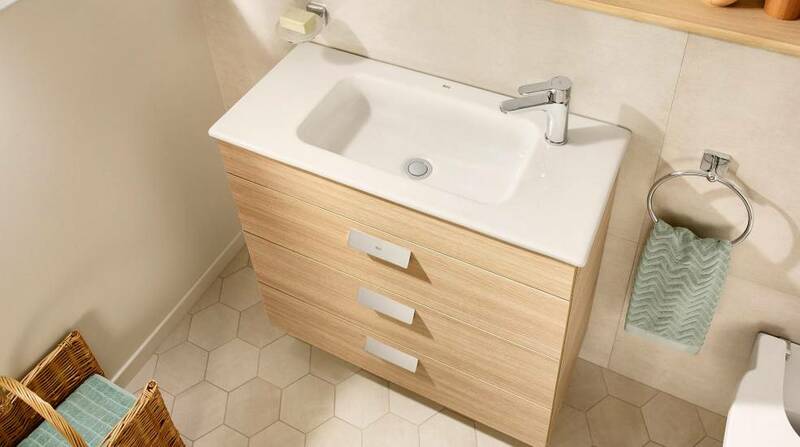 Mirrors and lighting are important to consider in small bathrooms. By using reflecting light and playing with perspectives, you can create an illusion of space. 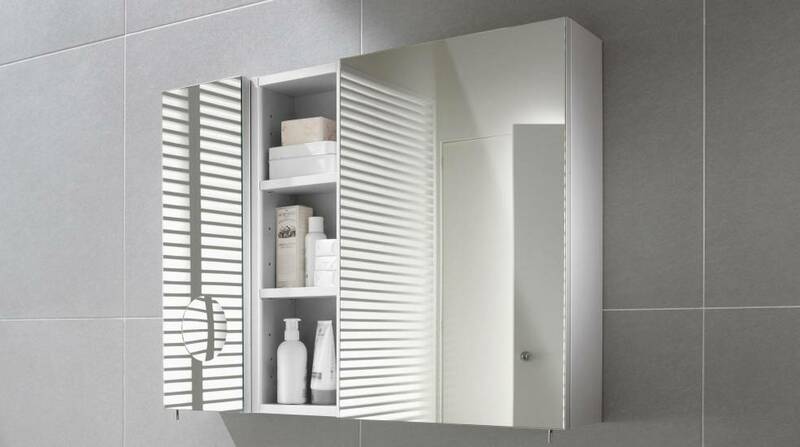 By opting for a mirrored cabinet, you can keep all of your most-used bathroom products to hand.